A young man, Riley, asked us (through Gigmasters.com) to help with a wedding proposal. 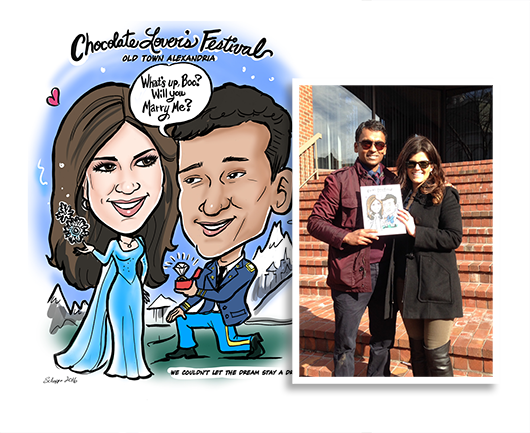 Laura created the caricature in advance from photos — 8.5 x 11 digital print on gator board. She said yes!! What an honor to be included in this big event! It happened in Old Town Alexandria. The finished artwork and the couple with their caricature!